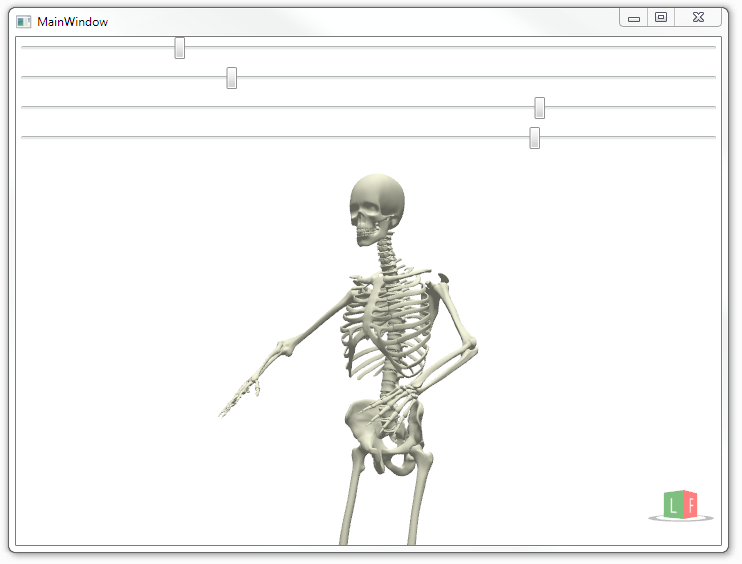 Though WPF is not meant for complex 3D implementations, the Viewport3D is a quite powerful feature. 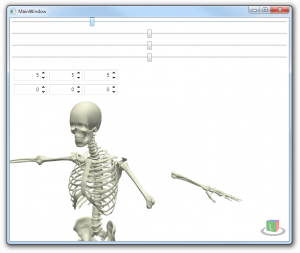 You can implement small 3D Animations to improve your design, the usability and so on. 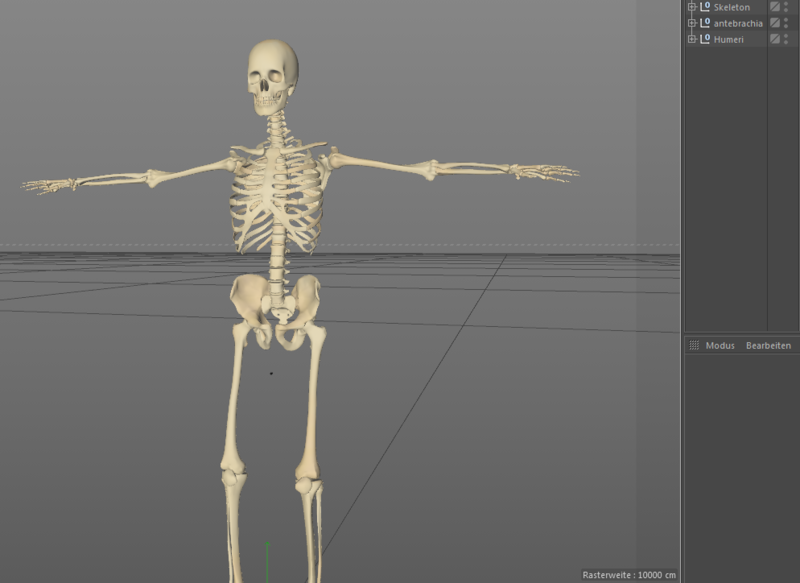 However, the usage of this Viewport3D is not easy going. Usually (at least I do) you have created an 3D Object in a 3D Modeling Application such as 3DS MAX or Cinema 4D and now you want to import it into your WPF Application. The Viewport3D accepts vectors, so for example you can export your object to a XAML (those plugins usually are not for free) and then somehow fiddle it into there. Fortunately there is the Helix Toolkit which is making life a lot easier! I will show you how to get started from scratch and how to import and move Objects. 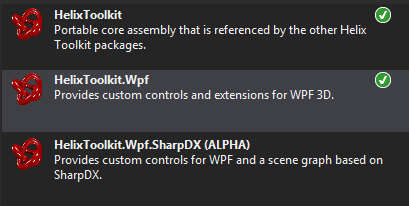 First of course we need a new Visual Studio C# WPF Project, I don't know which Version is required for the Helix toolkit, I tested it with VS2012 and VS2013 on .NET 4.5 which both worked fine. Now we need the Helix Toolkit, you can either use NuGet or download the binaries from here I will explain how to do it with NuGet briefly. 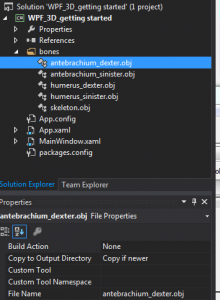 Right click on the Project in the Project Explorer->manage NuGet Packages, search for helix and install the toolkit and the WPF package. So now that we have the Helix Toolkit installed we can take care of the 3D Model. For this example I will use one of the most remarkable things on earth, the human body. 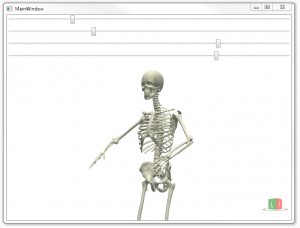 Fortunately there are very detailed 3D models freely available on the web. I will use this feller here for the use with Cinema 4D, this is just an example, if you have no access to Cinema 4D don't worry. After the Model had been loaded into Cinema 4D (may take some while) we can take away all the unwanted "parts". 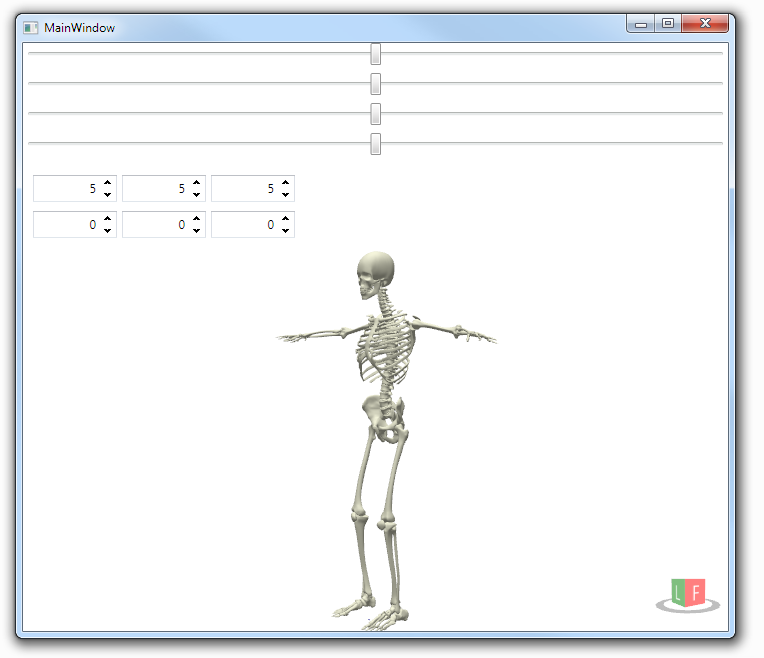 I want to make it possible to move the arms with 2 sliders in WPF, so we need a few bones, the skeleton itself, the upper arms (lat.Humeri) and the lower arms (lat. antebrachia). 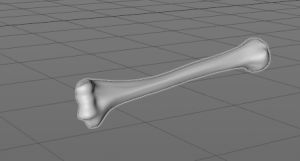 The model unfortunately has the left and right bones in one object, so we need to fix this. In the next step we prepare the bones to be imported into the Helix Toolkit. 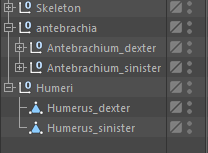 I created a folder in the VS Project called "bones" where those 5 files will go to. 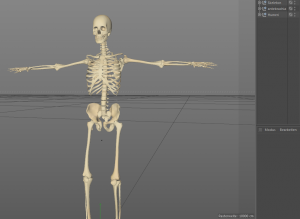 I have started with the Skeleton, copy the bones into a new project and do NOT change anything, otherwise the bones will not fit when we try to recombine them. 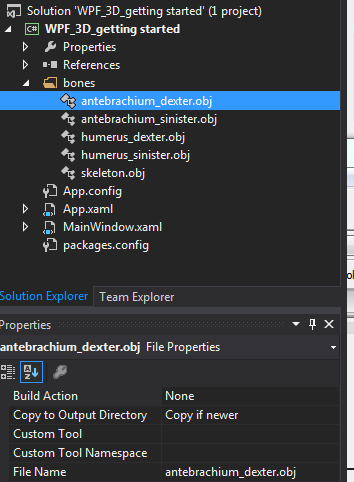 Simply export the project to a ".obj" file (File->Export), leave all settings on default. Helix accepts different formats, I have tried also 3ds which also worked fine. You may note that the Material has changed, this is because the .obj format has no properties for materials as a .c4d file for instance. However, you might want to use a format which is supporting color (e.g. 3ds). Its also possible to change the material in code. 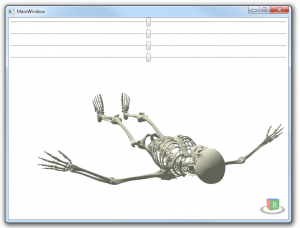 Now we want to import the .obj files into WPF. Thanks to the Helix Toolkit this is easy. 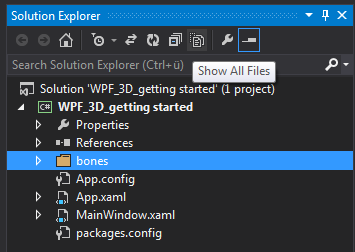 As the .obj files now belong to the project we need to add them to the Solution Explorer, therefore we need to click "show all files" and then right click on "bones" and "include in project". 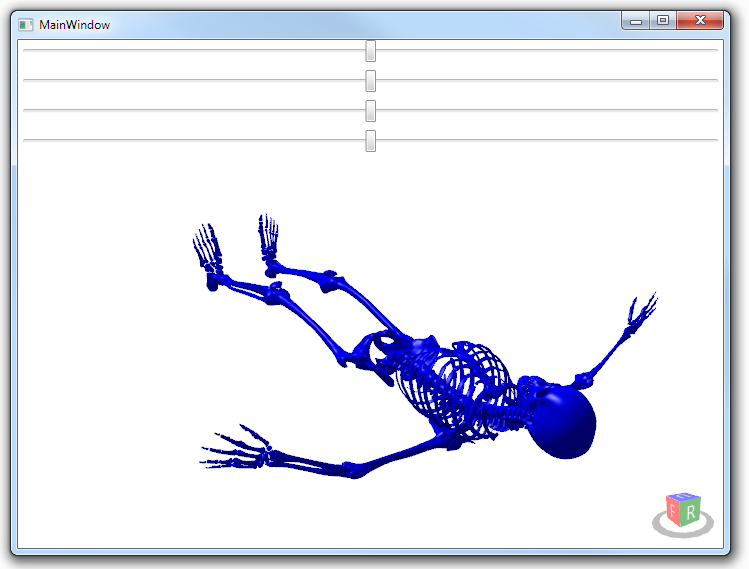 Then we need to make sure that the files in "bones" are always copied to the output directory if there is a new version available. Great! Now we can start coding! In this example I will keep it simple by not creating own classes and instead make everything happen in the "MainWindow.xaml.cs", this is not a good stile but I think for this example its sufficient. 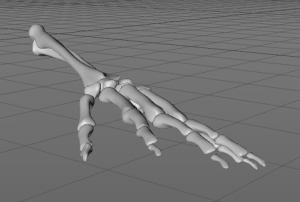 I defined a few global variables which represent the parts of our 3D Model. Now its a good time to to hit "Start" to see if there had been any errors. Make sure you click through the Exception tree to find the root cause which is most likely that there was a typo or you have not copied the file to the output directory. If it is startable we can move on. 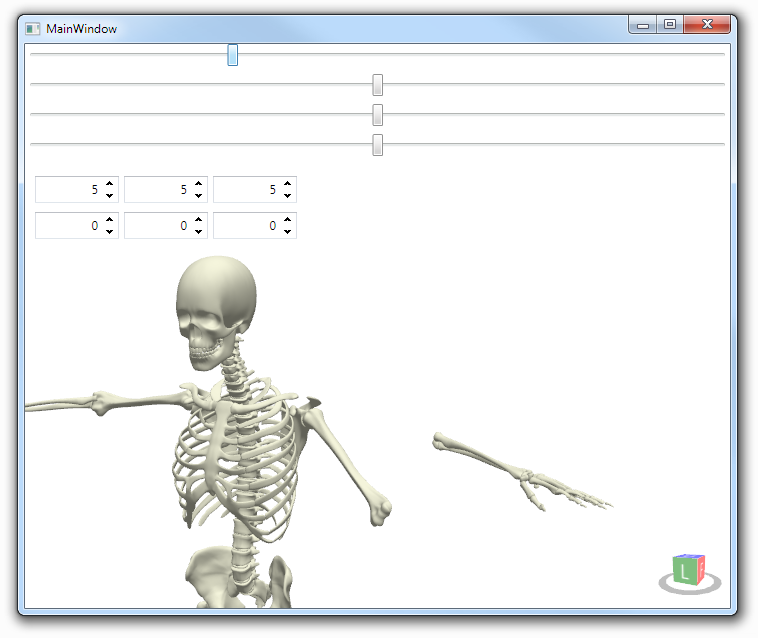 On the "MainWindow.xaml" we now need to add the parts we need. 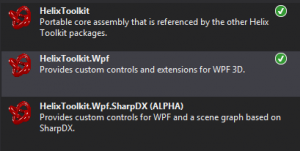 But first things first, first we need a reference to the Helix Toolkit xmlns:HelixToolkit="clr-namespace:HelixToolkit.Wpf;assembly=HelixToolkit.Wpf" . Now we can add 4 Sliders and a "HelixViewport3D". I copied the source from on of the Helix Samples and modified it slightly. You can see that we have a few bindings. I bind the slider values the movement of the arms and the "ModelVisual3D" is binded to a model called "our_Model", those variables have not been defined in code yet so lets move on. Back at "MainWindow.xaml.cs" we need to add "our_Model", it need to be public so it is accessible by the GUI and needs to have a setter and getter in order to be bindable. back in the constructor we need to add the 3D Models to the group, set the data context of the viewport and assign our group of objects to "our_Model". To sum it up, we have 5 bones/objects which we group to one "Model3DGroup" and then assign this group to a public accessible 3D Object. Its doing something! But... its blue... and its laying on the ground. Well but before going further first lets see how to control that view. On the lower right you have a small cube which you can use for navigation by simply clicking the sides of the cube. Before you try to use the mouse or the keyboard to move the object make sure it has the focus by clicking on it. You can use the arrow key or the mouse to move it. Use the Arrow keys to move around the object and press "SHIFT" simultaneously to change the center, use "CTRL" to move slowly. Use the Mouse wheel to zoom or "CTRL" and the mouse. You can use the mouse to freely look around by holding the right mouse button and move around, press "SHIFT" simultaneously to change the center. This is just a brief description, there are more controls available. 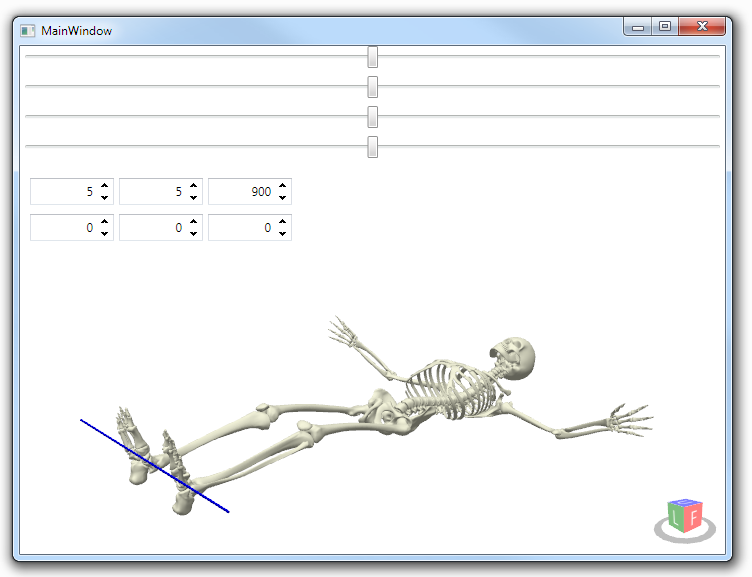 The fact that the skeleton is "laying" and not standing upright has to do with the files we have exported, so either you rotate the skeleton in C4D or you transform the skeleton in Code. Lets do it in Code so we have a good starting point to talk about transformations. If we want to rotate something we need 3 things. We can use the cube on the bottom right to get an idea where X,Y and Z are and therefore the vector is easy but how to get the point on which we want to rotate? Im sure you somehow can figure that out by checking the size of the objects but I did it the "dummy way" by placing a small cube in the 3D world which I can move around, this way I can move it until it is at the desired point and simply look up the coordinates. Now that we have the controls we need to have an object to move around. I took a box for that. now there is a small cube which we can resize and move around. We rotate on the X axis and the Point is 0,0,0. Its good practice to play around with those values so you will get an idea what is going on. Now we only need to find the point where we want to rotate the humeri. Wait! What? why is Y and Z flipped and Z is negative? This will rotate the point back by 90 degree and we get the point we looking for.For small Objects a helper like this might be useful but for more complex ones it is a pain. 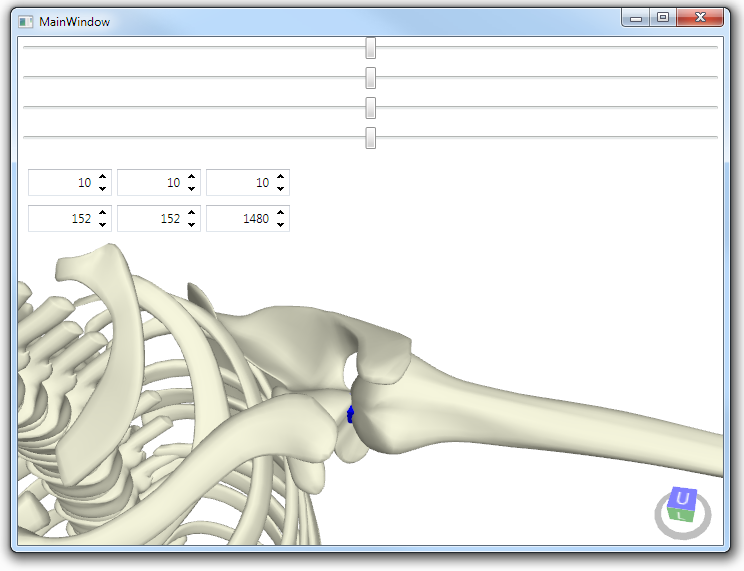 But now things start to get interesting if we want to rotate the antebrachium. The point we rotate around is changing every time the humerus moves, therefore we need to recalculate it every time we move. Thank you so much for this great article. It helped me a lot in moving forward with the 3D stuff in WPF. can we do this in vb ? Please insert download link for .obj files beacuse I don'tm have no access to Cinema 4D to export objects. It's better to upload all your project. 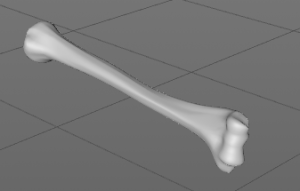 due to copyright issues I can not upload the bones. I can offer you some more neutral .obj files to get started. Can I also load .step files using helix toolkit? or convert them into .obj file?